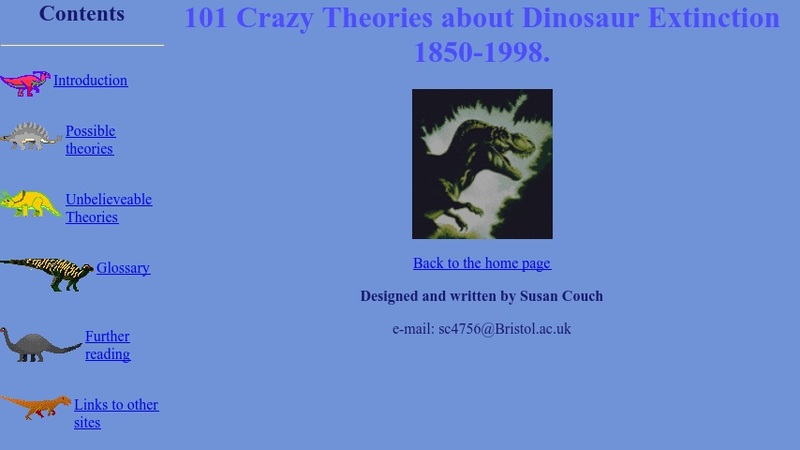 This document presents a number of theories, both plausible and implausible or even humorous, for the extinction of the dinosaurs. Links to a glossary are embedded in the text. A reading list and links to related sites are also provided.